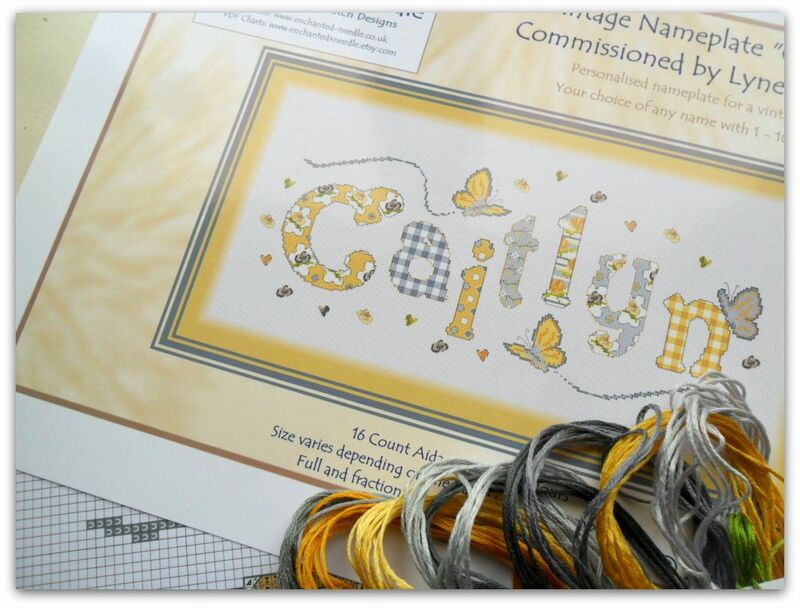 Personalised nameplate for girls who love Butterflies! 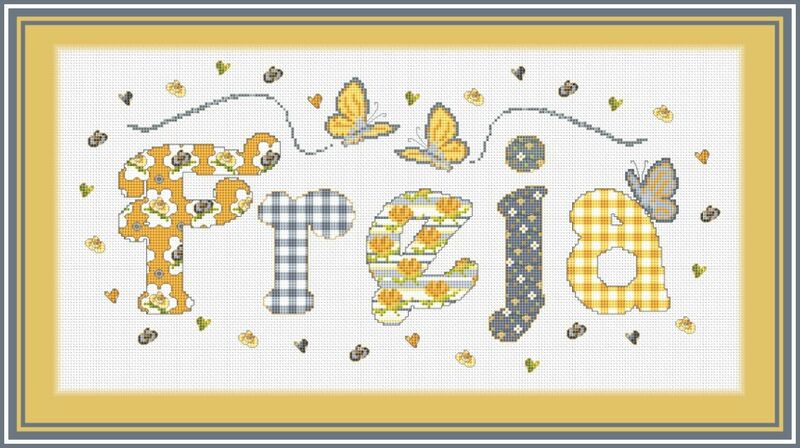 Detailed cross stitch designed to look like vintage fabrics with sparkling fluttering butterflies! 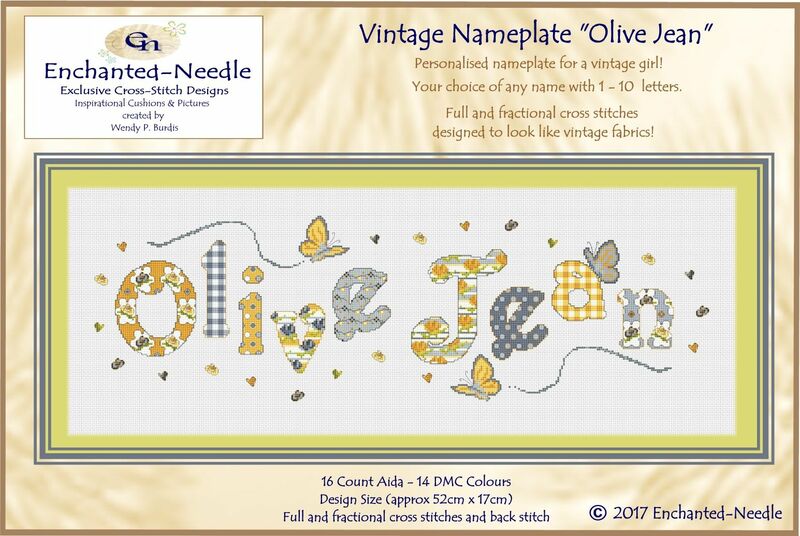 PLEASE ENTER THE NAME AND COLOUR SCHEME AT THE TIME OF ORDERING - THE PRICE VARIES FOR COMPLETE KITS DEPENDING ON THE NUMBER OF LETTERS.